If you want to kick back and enjoy a movie at home, you could stream it, and that’s a serviceable option—unless of course your video stream is interrupted or degraded by traffic congestion or an unreliable connection. Or you could enjoy your movie on a Blu-ray or DVD disc, avoiding those issues altogether and getting the added benefit of special features and commentary, as well adding another piece of entertainment to your collection. For your consideration, we present 10 worthwhile movies that have recently come to disc. Our emphasis is on the Blu-ray format, but we make note of whether Ultra HD Blu-ray (4K) is also an option. 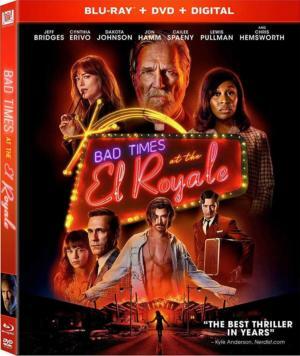 Writer (Cloverfield, The Martian) and director (The Cabin in the Woods) Drew Goddard turns in his second feature, Bad Times at the El Royale, with this Tarantino-influenced multi-character crime piece, set at a single location (a hotel built right on the border between California and Nevada). It runs a little too long and it doesn’t have much crackle, but it has a few dazzling moments, mostly involving a secret corridor running behind all the rooms. Big stars Jeff Bridges, Jon Hamm, and Chris Hemsworth are weirdly less interesting than the lesser-known cast members: Cynthia Erivo, as a struggling singer, and Lewis Pullman, as a meek, emotionally tormented desk clerk. 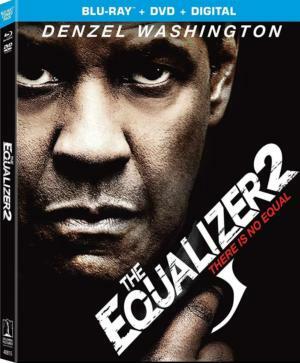 Denzel Washington makes the first sequel of his career, slipping back into the role of former secret agent Robert McCall as if he’d never been away. He’s cool and commanding, and makes The Equalizer 2 worth seeing. Director Antoine Fuqua and screenwriter Richard Wenk are also back with more of the same, some rather traditional screenwriting and some excellent action sequences. Ashton Sanders (Moonlight) plays a young man who hopes to be an artist, whom McCall takes under his wing. As with the first film, the final showdown is a show-stopper; this one is in a small fishing community as the beginning of a huge storm roils in the background, causing structures to creak and groan as the first spatters of rain fall. Bill Pullman, Melissa Leo, and Orson Bean co-star, the latter in a surprisingly moving coda. Bonus features: “Retribution Mode” (a series of behind-the-scenes extras that play during the film); deleted and extended scenes (23 mins. ); featurettes: “Denzel as McCall: Round Two” (7 mins. ), “Seconds Till Death: Action Breakdown” (5 mins. ), and “Through Antoine’s Lens: The Cast” (6 mins. ); TV promos; pop-up trivia track; previews for other Sony titles. Director Samuel Fuller was one of the most explosive in history, a former newspaper reporter who fought in WWII. It is said that his dialogue was like headlines. 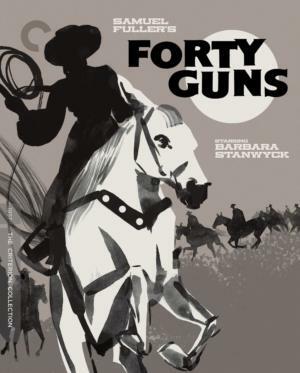 Specializing in crime movies, war movies, and Westerns, Forty Guns (1957) is one of his most interesting, focusing on a tough female rancher, Jessica Drummond (a platinum Barbara Stanwyck), who inadvertently launches a war when her brother (John Ericson) kills the local sheriff. Fuller’s brilliant widescreen framing is heavy on masculine symbolism (some critics considered it a “Freudian Western”) as well as wild trashy fun. Barry Sullivan and Dean Jagger co-star. Director Eli Roth is known—and has a small, fervent fan base—for his horrendous, inept, and vile cinematic wreckages of gore and violence, notably the Hostel movies but also sinking all the way down to remakes of The Green Inferno and Death Wish. But suddenly he turned it all around with The House with a Clock in Its Walls, an enjoyable, kid-friendly fantasy full of action, jaw-dropping visuals, and even some decent slapstick. (Think: Jumanji or Spy Kids.) 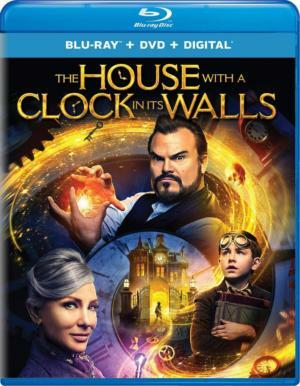 When his parents die in an accident, young Lewis (Owen Vaccaro) goes to live with his uncle Jonathan (Jack Black) and his neighbor, Mrs. Zimmerman (Cate Blanchett); it turns out they are witches/warlocks who are desperately trying to uncover the secret of the clock in the house before… ahem… time runs out. The House with a Clock in Its Walls is a little dark for younger or more sensitive children, but for others it’s a zany, somewhat spooky ride. 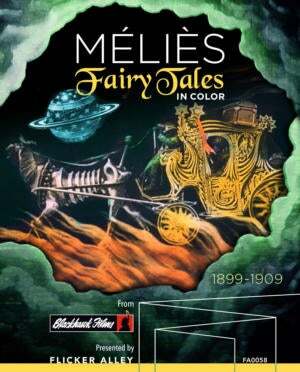 Flicker Alley has released several Georges Méliès sets before, but this one is perhaps its most ambitious collection. While Méliès began—in the 1890s—with simple little “magic trick” films, he quickly grew more ambitious and told longer stories with bigger effects. This collection features 13 of these from between 1899 and 1909, including the famous A Trip to the Moon (1902), with its shot of the rocketship crashing into the moon’s eye, surely one of cinema’s greatest indelible images. (Most people will recognize the picture, even if they don’t know the film.) Other shorts include versions of Joan of Arc, Robinson Crusoe, Rip Van Winkle, and Jules Verne’s The Impossible Voyage, with hand-coloring and three optional audio tracks: English narration, French narration, or music only. Bonus features: A 28-page souvenir booklet.